Harley-Davidson is offering one lucky rider the chance to tour America's legendary Route 66. Under the Discover More campaign, the winner will get to ride Harley-Davidson's latest touring bike on Route 66 with all expenses paid and $1,000 to spend as per the rider's whim. To enter the contest, one will have to complete an extended test ride and book a Harley-Davidson motorcycle from the Dyna, Softail or Touring family of bikes between May 12, 2016 and July 31, 2016. The 15-day guided tour will begin in May 2017 in Chicago and end in Los Angeles. The tour will also include accommodation as well as round-trip tickets. Route 66 was a major highway, which was established in 1926 and extensively used until the Interstate Highway was built in the 1960s. The tour will stop at several iconic locations like the Grand Canyon, the Rocky Mountains, and the Mojave Desert and finish at the Santa Monica Pier after around 4,800km. "There's nothing quite like motorcycle touring," said Pallavi Singh, director - marketing, Harley-Davidson India. "It's not about ripping along but about the journey and the wind in your face. 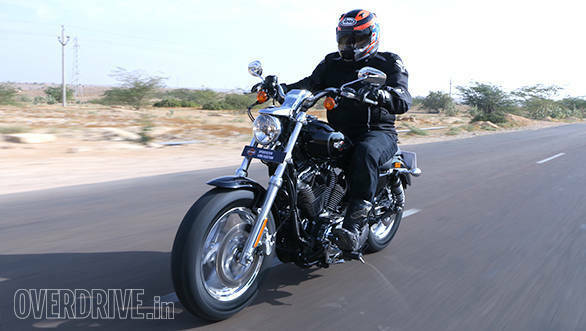 And there's no better bike to enjoy the ride and savour the moments than a Harley-Davidson. Route 66 evokes the romance and history of the great American road trip. We hope the lucky winner of the Discover More campaign will be able to soak in the open-road freedom and create memories of a lifetime."